Happy New Year from all of us at Agile! It’s been a remarkable year for Agile CRM. We added amazing new features like the in-app landing page builder, we enhanced our current features in unique ways, like improving our industry-leading telephony feature set by adding call campaigns, and we proved that it’s possible to build a million-dollar SaaS company in India today. We moved up a place in the Top 10 CRM listings and received a ton of helpful comments and reviews from you, our dedicated customers. 2015 was great and we are grateful. But here at Agile, we’re always looking forward. We’re dedicated to helping smaller businesses sell like the Fortune 500, and that means constantly adjusting to new technologies, enhancing our combined sales and marketing automation features, and building even more powerful integrations with the other apps you use. Here are our top 3 predictions for what will happen with CRM software in 2016. The industry is evolving. So are your customers. Are you prepared? Before there were CRMs, there was Sales Force Automation. In 2016, CRMs are going to explore their histories and push automation to new heights. We agree with Falon Fatemi, who wrote on TechCrunch that 2016 will be the year of the sales stack. All-in-one solutions that include multiple competencies from Fatemi’s list will save you time and make you money, automating your company’s unique sales stack for higher ROI. 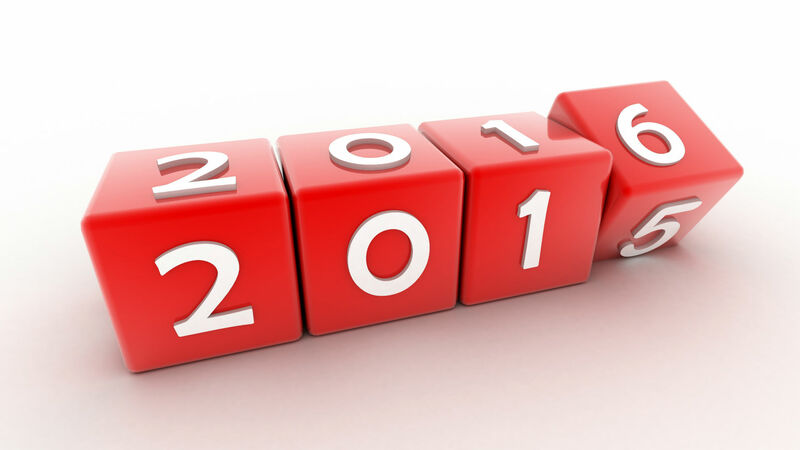 Our prediction: the CRMs that rise to the top in 2016 will offer streamlined automation. Streamlined automation means easy visual designers with sophisticated functionality for sales force automation, marketing automation, and forms of automated customer support and engagement we haven’t even imagined yet! Sales and marketing automation used to be out of reach to SMBs, but no longer. The technology is here. It’s streamlined and afforadable. So why are some SMBs still afraid to commit? One reason is that companies don’t realize just how easy it is to get going with the new generation of apps for sales enablement and marketing automation, from importing contacts from your old CRM to launching your first onboarding campaign. The other reason is that many companies still think there’s a big difference between contacts and customers. We don’t see a difference, and neither do many of the most successful companies in the world. All leads, contacts, customers and even just interested observers should be engaged consistently, whether that means monthly nurture campaigns or personalized web experiences. That’s the way to build a dedicated community around your product or brand. Our prediction: In 2016, CRMs that offer tools for complete customer engagement will rise to the top, and so will the businesses that use them. It’s no secret that modern companies need a social CRM, but so far the CRM industry has focused on broadcasting and social advertising. In fact, 2015 was the year of social advertising, with lead gen ads on Facebook and Twitter making headlines all around (and for good reason — they’re highly effective). 2016, though, is going to see the remarkable evolution and adaptation of CRM technology to help businesses interact with customers directly. In other words, you’ll start seeing new tools focused on the social customer, rather than just the social brand. Our prediction: 2016 will see the social CRMs evolve to be more interactive. What do we mean by “interactive”? We mean allowing for both real-time engagement and smarter automation that encourages such engagement. Really this is a culmination of our other two predictions. Social selling is about to become an intelligent, responsive machine. All of these predictions have one thing in common: true sales success comes from putting customers first and remembering that marketing automation, when done right, is customer service. Thank you for going with us on this journey. We are truly thankful for your business. Let’s make 2016 a year to remember! Try Agile CRM for FREE! FREE for 10 Users. No credit card required. Ari Messer is a senior product marketing consultant and content strategist. He has over a decade of experience helpings startups and enterprise clients to exceed their goals for customer growth, engagement and retention. Customer acquisition vs. customer retention: Which to prioritize? Tell us what you think. To comment, please fill in the required fields marked with an asterisk (*). Your email address will not be published.